At Liberty Mutual® and Safeco Insurance®, we’re committed to innovation. For us, the goal of innovation is to discover and develop solutions that bring new, unexpected value to our agents and customers and deliver greater peace of mind. But innovation isn’t just for insurance carriers. Independent agencies that start innovating now will be better equipped to meet customer needs in the future. They’ll also be able to recruit more qualified employees and become more attractive to buyers. In my work in innovation at Liberty Mutual and Safeco, I’ve seen that for innovation to really drive change, new ways of thinking and working need to be applied to the entire company. Any member of an agency can be innovative on their own, but for a true culture of innovation to take hold, key agency leaders must be on board. Agency leaders must inspire and motivate their teams to think outside the box. They should communicate and demonstrate active and visible support for testing new ideas, showing their team that becoming innovative is a priority for the agency. There are a lot of trends that could have a big impact on how independent agents manage their business in the years ahead. Rather than be caught off guard, agencies need to understand the potential implication of the sharing economy, self-driving cars, smart technology and the rise of millennials. Share a short article or video about connected home technology and set aside a few minutes at a team meeting to discuss how the new tech might impact the agency and customers. Ask employees who have never participated in ride sharing to take an Uber or Lyft to work one day and expense it to the agency. Or encourage employees to try out a connected home device. This real-life experience will help employees see the impact of new trends and help them better understand the needs of customers. The point of innovation is to better meet customer needs. As I wrote in an earlier article, IAs should no longer just be selling insurance as a product; they should be presenting customers with solutions for their real pain points. To make this shift, agents need to start thinking like a customer. Bringing in a guest speaker or providing specialized training can help employees learn how to be more customer-centric. Use a thinking exercise to prompt employees to think differently than they are usually programmed. This may involve choosing a problem to examine as a group using the “Six Thinking Hats” technique. Or instructing employees to flip their mindset for a meeting or brainstorming session. For example, if Bob has a tendency to point out flaws and Mary tends to take a “glass half full” perspective, ask them to switch views for the meeting; instruct Bob to think of why an idea could work and Mary to think of reasons why it might not. The Safeco agent panel allows IAs to preview new products and services and provide feedback. Agents who join the panel will be asked to take a quick survey once or twice a month. Participating in the panel can be a great way to learn more about new technology and how changes in the marketplace are impacting insurance offerings. Of course, a true culture of innovation requires action as well as discussion. “Test and learn” is a key mantra for innovation. Implementing new ideas comes with risks. New offerings are not going to be right the first time. Successful innovation requires testing new concepts with small groups of customers, seeing what you can learn, and applying those learnings to improve the next test. Agencies need to become okay with iterating with several rounds of tests and acknowledging and learning from failure. In any case, show support for innovative efforts from employees. Innovation should be something the whole team is involved in—celebrating successes and learning from mistakes. 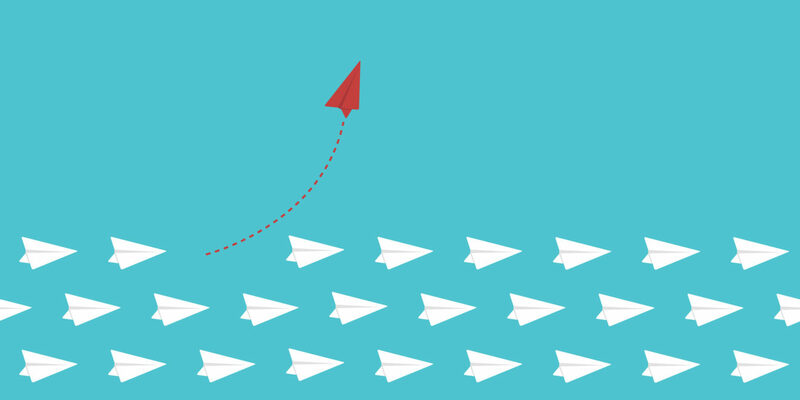 When every member of an agency is encouraged to think differently, try new things and take innovative risks, the agency will be well positioned for success in 2019 and beyond. Mark has been championing change and innovation initiatives since joining Liberty Mutual in 2013. As Director of Innovation Engagement & Evangelism, he’s focused on engaging agents in the innovation process, fostering a culture of innovation at Liberty, and enhancing company capabilities to deliver quicker, cheaper and high impact innovations. In his prior role as Director of Safeco Innovation, Mark and his team led the development and release of the first insurance skill on Amazon Alexa, scaled Safeco’s Ridesharing Coverage, and launched Pet Insurance and Home Warranty countrywide. Before Liberty Mutual/Safeco, he managed an innovation consulting firm, served as an Entrepreneur-in-Residence at Expedia, and spearheaded marketing & sales for early stage start-ups. Mark holds an MBA from the University of Virginia – Darden. what’s your Agent for the Future™ agency name? © 2019 Liberty Mutual Insurance, 175 Berkeley Street, Boston, MA 02116. Insurance is offered by Safeco Insurance Company of America and/or its affiliates, with their principal place of business at 175 Berkeley Street, Boston, Massachusetts, 02116.